We live in an era of increasing unrest, Instability and large scale of financial crime. As Solution has the ability to assist in evaluating the risks, and in minimizing the potential consequences to your business, of carrying out the day to day operations under these circumstances. Our personal security and executive protection services help to keep important people safe at all times, regardless of the industry in which the individual is employed. VIP protection and executive protection is offered to individuals that have legitimate concerns based on real world threats. 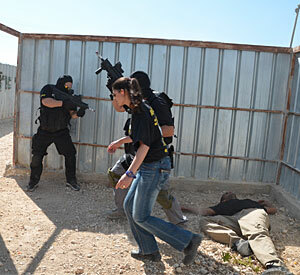 Our officers can address all security service needs in a professional and tactful manner, and have been individually trained by leaders in security efforts and executive protection - the Israeli Government. Based on the Israeli Secret Service model of security, in conjunction with the efforts used by top counter terror units, our experts provide quality security to executives and VIPs. Highly Trained Professionals, Hand to Hand Combat Experts, We take our job seriously and spend countless hours in training our security team to be ready when called for.